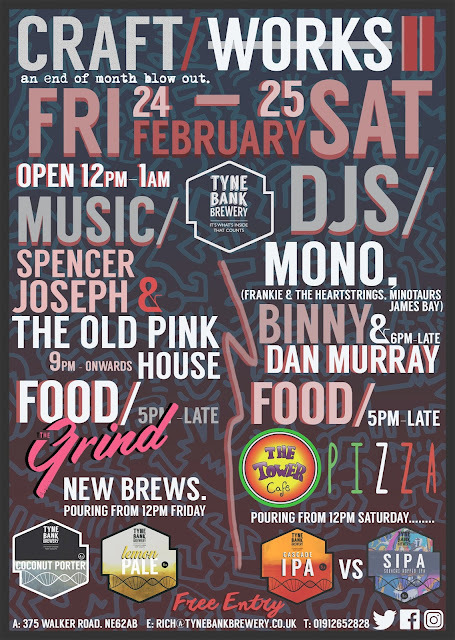 CRAFTWORKS at Tyne Bank Brewery has returned for its second instalment. The Old Pink House are headlining our Friday night. They bring along their own brand of Melodic Cosmic Pop to your ears. Their single ‘So Bad’ has already reached 12,000 plays on Spotify and ‘Cruel’ shows the lads have no intention of slowing down. Definitely not to be missed. Also playing, Sheffield based singer/songwriter Spencer Jospeh! After the success of the first CraftWorks we’ve decided to extend our monthly soiree over two days. 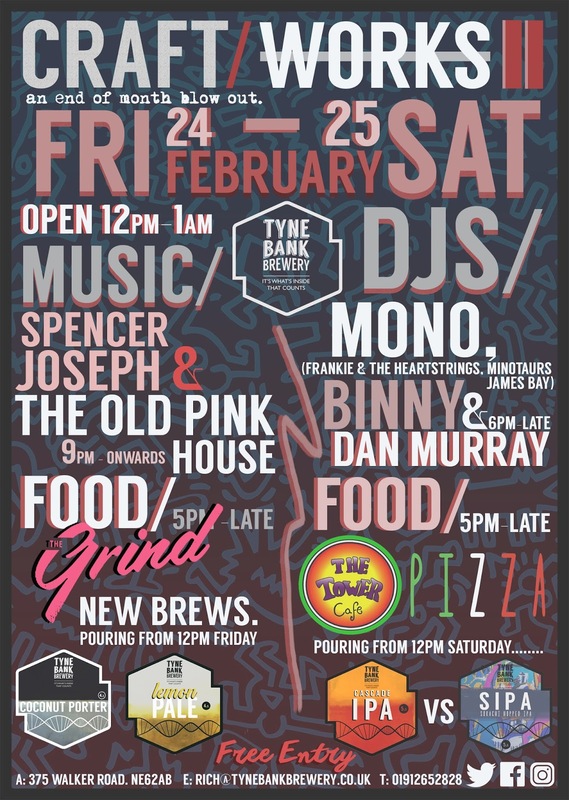 On FRIDAY 24th and SATURDAY 25th we’ll be bringing you an array of live music, DJ’s, Street food and of course… Beer! SATURDAY - from 6pm will see Mono, Binny & Dan Murray take to the stage bringing you their eclectic mixes of music till 1am. Bringing the Food to the party we’ve got two of Newcastle’s best food vendors. We’ll also be debuting 4 brand new beers!